We love walking dogs and will treat your dog with love and respect. Walking your dog comes with a number of benefits. Your pup can enjoy some fresh air, sunshine, and exercise while you can bond with Fido and take advantage of the benefits of exercise as well. For your dog, regular walks can also improve cardiovascular health, build muscle strength, reduce stress, and build stronger bones. Most dogs need to be walked at least once per day, but many owners simply don’t have the time. Between work, school, and other commitments, simply finding the time to get a workout in for yourself is challenging enough, let alone trying to take your dog out as well. At Fiv5 Star Cleaning, we understand this dilemma that many dog owners face, which is why we offer the service of walking dogs in the Charlotte, North Carolina area. We’re reliable and professional so you can trust that your pup is in good hands when we’re taking it out for a walk. Searching for an individual or company that offers the service of walking dogs can pose a challenge, especially if your dog is your baby and you don’t necessarily trust just anyone for the task. We love walking dogs and will treat your dog with love and respect. 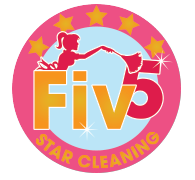 If you have questions about our dog walking services or would like to learn more about setting up a regular walk with our skilled team members, contact us at Fiv5 Star Cleaning. In addition to walking dogs, we can clean your home, do your laundry, or tackle a number of other chores. At Fiv5 Star Cleaning, we can help with walking dogs in Charlotte, Concord, Cornelius, Gastonia, and Mooresville, North Carolina, as well as Rock Hill, South Carolina.